First question. how in the absolute heck is it already halfway through September? Second, how can we maximise the rest of the month to fit in absolutely every new eat and foodie event coming up? While we can’t answer the first (and frankly, don’t want to think about it), we can tell you that we’ve gathered enough info to at least get you through the week. We may not be able to commit to the lifestyle, but you can be sure we’ll eat vegan when we can – and OTTO is making us consider turning over a new leaf. Of salad. From their new vegan degustation. Think zucchini flowers, rigatoni, Napolitana sauce and other delectable flavours that’ll keep you coming back for more – and their dessert is no exception, with citrus sorbet, spiced cherry granita and candied orange. Whoever said salad was boring clearly hasn’t been to Only. This brand-new CBD store is serving up fresh meals like cauliflower and chickpea salads, and don’t even get us started on their rich and flavoursome specialty coffee by Sydney’s Five Senses. We’re all for their motto that coffee shouldn’t be bad for it to be affordable, and Only’s is worth every last cent and more. We may have said farewell to igloos recently, but Customs House is bringing it with their Spring edition pop up, Tanqueray Terrace! Enjoy the weather while you’re sipping exotic gins from next to stunning views of the Story Bridge, and you can bet we’ll be taking full advantage of their food options like freshly shucked oysters and Moreton Bay bug rolls. So come along, it’s set to be bloomin’ awesome. South Brisbane has a new coffee stop! Featuring craft coffee from Single O, we know where we’ll be getting our caffeine fix, along with a pastry or two. Ravenous? Their range of rotating salads are sure to satisfy, and the natural lighting makes for the perfect Insta pic. Indulge yourself in a three-course menu paired with award-winning wines from Barristers Block Winery this Friday. Enjoy the Sparkling Blush Pinot Noir in The Fireplace, followed by an entrée of tuna tartar paired with Rosé and Sauvignon Blanc, then the organic charred beef fillet as a main. In an event that’d make any wine lover swoon, Blackbird Bar & Grill is featuring the Yarra Valley’s latest releases and winemakers on September 20, and we’re getting our glasses at the ready. Feast on tasty canapes as you’re sampling some of Australia’s finest drops, and for the serious oenophiles, learn the tips and tricks of wine making at their masterclass for just $25. We’re not trying to be cheesy, but Melt Brothers certainly are! Happy Birthday, you toastie connoisseurs, you. 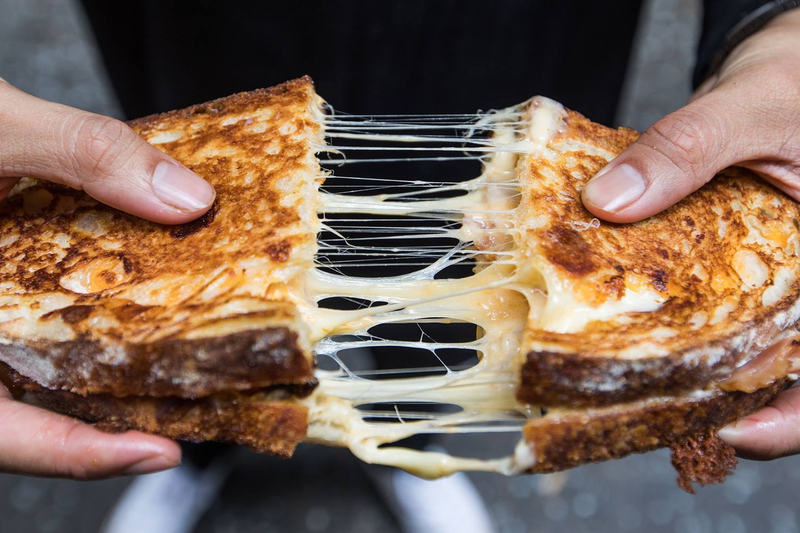 Celebrating on Saturday, they’ll be giving away free Mouse Trap toasties between 10am and 12pm – and if that doesn’t butter your toast, they’ll also be offering 10% off their menu from 12pm until close. Speaking of cheese, popular market stall Le Fromage Yard is opening its own fromagerie in Morningside! We’re putting our lactose intolerance behind us and opening our hearts to Camembert, Raclette and others that we can’t pronounce, but still look amazing.